What is a SQL database tutorial? 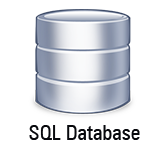 SQL is a database computer language developed to retrieve and manage the data in a relational database. SQL tutorial covers various topics to understand more about SQL and how to use it. This tutorial is mainly useful for beginners to provide basic and in depth understanding about the concepts related to SQL languages. To learn this tutorial one must be aware about database structure and components and RDBMS and what a computer programming language is.